Birgu (Maltese: Il-Birgu [ɪlˈbɪrɡʊ], Italian: Vittoriosa), also known by its title Città Vittoriosa, is an old fortified city on the south side of the Grand Harbour in the South Eastern Region of Malta. The city occupies a promontory of land with Fort Saint Angelo at its head and the city of Cospicua at its base. Birgu is ideally situated for safe anchorage, and over time it has developed a very long history with maritime, mercantile and military activities. Birgu was the site of major battles between the Knights and the Ottoman Empire during the Great Siege of Malta in 1565. After four months of successful defence by the Knights, the city was almost captured by the Ottoman army in August, but was recaptured by the Knights under Grand Master Jean Parisot de Valette. Reinforcements from Sicily arrived a month later, and the siege was abandoned by the Ottomans. After this, a new capital city was built on Mount Sceberras, bearing the name Valletta. In 1571, the Knights transferred their convent and seat to the new capital and Birgu lost some of its importance. 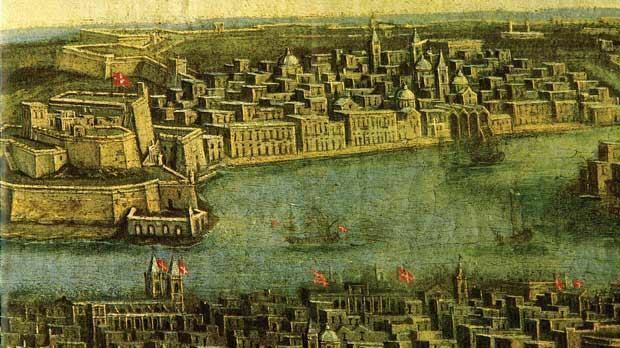 Despite this, after the Siege, Birgu was given the title Città Vittoriosa, Italian for "victorious city". In 1806, Birgu's gunpowder magazine exploded, killing over 200 people. Birgu was heavily bombed during World War II due to its proximity to the Malta Dockyard. A number of historic buildings were destroyed, including the Birgu Clock Tower and the Auberge d'Allemagne. In recent years, due to an agreement made by the Maltese Government with Sovereign Military Order of Malta, this Catholic Order of Knighthood has returned to the Island. This agreement, which has a duration of 99 years, grants the Knights of Malta the exclusive use of Fort St Angelo in Birgu. St. Lawrence's Church, one of several churches in the parish, was once the Conventual Church of the Order of St John. It is dedicated to St. Lawrence of Rome, and the feast is very popular among locals for the decorations in the local streets. The celebrations start on 31 July and continue till 10 August, the saint's feast day. Other churches in Birgu include the Monastery of St. Scholastica and the Our Lady of Annunciation Church which is run by the Dominican Order. This church is also known as St. Dominic's Church. The feast of Saint Dominic is held every last Sunday of August. The Freedom Monument commemorates the departure of British forces from the island in 1979. Birgu also contains five Auberges of the Knights, including the Auberge d'Angleterre, for some time the home of the English Knights of St John on the island, which now contains a public library. At the centre of the Grand Harbour, the 16th-century Fort St Angelo still stands and is currently undergoing restoration. The central piazza in Birgu was badly damaged by bombing during World War II, but one 19th-century palace thought to have been designed by Giuseppe Bonavia survives, and is used as the headquarters of the St Lawrence Band Club. In 1901, Birgu had a population of 6,093 people. After falling slightly over the following 20 years, this figure had increased to 6,673 in 1931. However, in 1948 the population stood at just 3,816, although it had increased slightly by 1957. The city's population fell in the following four censuses, and in 2005 was recorded as 2,701. By 2011 the estimated value had risen slightly to 2,758. In March 2013 the population stood at 2,673, and it was slightly lower in March 2014, when it stood at 2,629. The Birgu Local Council is housed at Auberge de France. 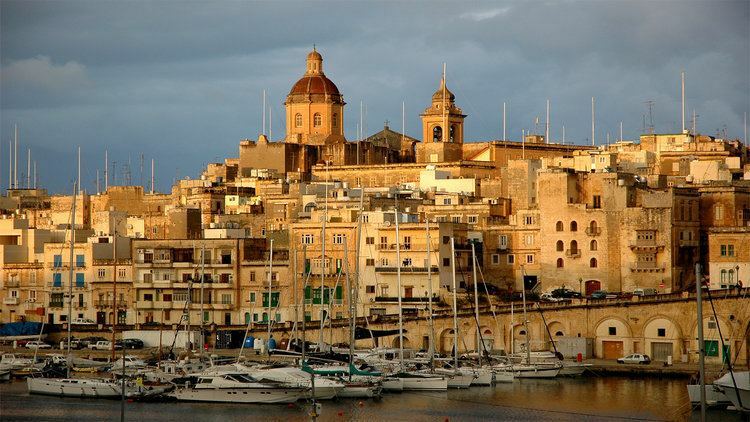 The architects and engineers Girolamo Cassar, his brother Andrew Cassar, and his son Vittorio Cassar were all born in Birgu in the sixteenth century. The Cassar family moved to Valletta after the new city was built in the 1570s. Architect Lorenzo Gafà (1638–1703), who worked on a number of churches in Malta including St. Paul's Cathedral in Mdina, was born in Birgu. He also designed many of the historic buildings in the Vittoriosa Waterfront area, some of which have recently been restored. Paul Boffa (1890–1962), the Prime Minister of Malta between 1947 and 1950 and the country's first Labour Party Prime Minister, was also born in the city. Dorothy Dunnett's novel The Disorderly Knights, the third volume of her Lymond Chronicles series, covers the events in Birgu in 1551 around the events of the Dragut Raid.